What can Big Ten do for CFP? The simplest solution for any given problem is usually the correct one — a concept known as Occam’s razor — yet we like to overcomplicate stuff and make things more difficult than they need to be when something happens that we don’t like. Let’s use the College Football Playoff as an example, and more specifically that, for the third year in a row, the Big Ten has been shut out of the Final Four. Oh, no! That just can’t happen! Something’s gotta change! 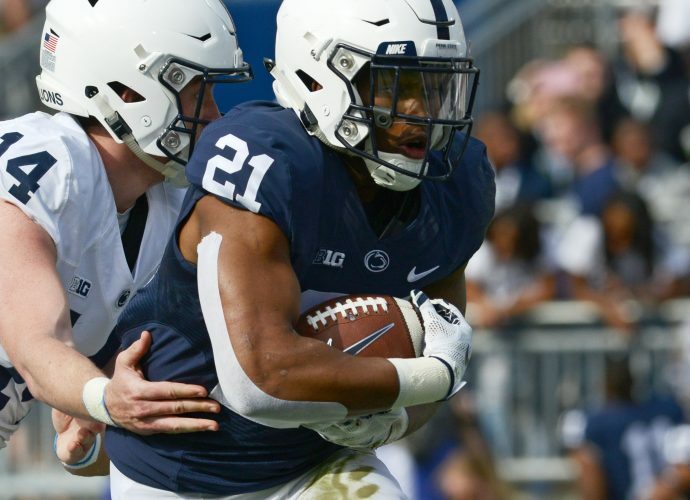 Some, including Penn State coach James Franklin, are saying the conference needs to re-evaluate the way it does things to help the chances of getting a team in the CFP. Suggestions include trimming the league schedule from nine games to eight, or realigning the divisions to create more balance rather than having a loaded East and vastly weaker West. There are valid reasons, sure, to support those suggestions. That’s it. No matter how much talking anyone wants to do, or what changes the Big Ten decides to make or not, the bottom line is that the league’s best teams need to play better. They need to bring their “A” game each and every week. They can’t lose by 29 points to mediocre teams. Let’s start with the simplest component of all: Michigan would have been in the playoff had it won at Ohio State in the regular-season finale. The Wolverines, ranked No. 4 in CFP standings at the time, presumably would have then beaten Northwestern in the Big Ten title game and been a shoo-in for a playoff berth. Case closed. There would have been no need to talk about reducing the league schedule to eight games or division realignment or anything else. Michigan blew it. The system didn’t fail the Big Ten. The league’s setup didn’t fail the Big Ten. Jim Harbaugh and the Wolverines failed the Big Ten. We thought Michigan was the best team. It had the nation’s best defense at the time. Then it got destroyed, 62-39, by the Buckeyes in Columbus. I’m sorry, but if your best team loses the biggest rivalry game in college football by a score of 62-39, then maybe your conference doesn’t deserve to have a team in the playoff. OK, so what about Ohio State, the eventual Big Ten champ? Purdue 49, Ohio State 20. The Buckeyes blew their chance that night in West Lafayette. Had they lost by three or seven, maybe they would be in the playoff. They certainly would have had a better claim. Then again, Ohio State failed the eye test on other occasions, most notably a baffling and frantic 52-51 OT win at Maryland in a game it should have lost. There also was a teeth-pulling 36-31 win at home over a bad Nebraska team, which didn’t help. I’m sorry, but if your conference champion has those blemishes on its resume, then it doesn’t deserve to be in the playoff. It’s not the Big Ten’s birthright to have a team in the playoff every year. If it doesn’t have a worthy candidate, then so be it. Don’t blow up the system trying to justify the fact that the league didn’t have a good enough team. OK, so let’s say the Big Ten did drop down to eight league games. This year, the supposed best team (Michigan) still would have been badly exposed by the second-best team (Ohio State) because they would have played anyway. And there’s a good chance the Buckeyes still would have played Purdue, because there would be two division crossover games in the league. The Big Ten still would not have a team in the playoff. Penn State probably would have been in the playoff in 2016 had it not lost at Pitt. It’s debatable because of the 49-10 shellacking at Michigan, but given that Penn State nearly made it in anyway, I’m guessing the committee would have taken a much closer look and understood the Lions were missing six injured defensive starters against the Wolverines, realized that score was bogus and put them in the playoff over Washington. Penn State needed to beat Pitt that year. It didn’t. DaeSean Hamilton dropped the pass, Trace McSorley threw a bad interception in the end zone, and the Lions couldn’t find a way to win. That’s on them. Last year, Ohio State got destroyed at Iowa, 55-24, for a second loss and finished fifth in CFP rankings, just missing out on the playoff. Had the Buckeyes beaten Iowa, they very well may have gotten in over Alabama, which didn’t even win its own division. Ohio State’s only other loss was to Oklahoma, the No. 2 seed in the CFP, and the Iowa debacle was crushing. But that’s on Ohio State. Not the system. Not the Big Ten. By the way, the Big Ten chose to add Rutgers and Maryland and get to 14 teams so that it could bask in greater financial rewards. The league pays out $50 million annually to members from TV contracts, and the guess here is that number would go down a bit if the schedule included one more cupcake on the non-con schedule as apposed to a ninth league game. Point is, the league sold its soul for more money, so to now say it’s time to go back to eight conference games for the sake of helping get a CFP berth is hypocritical to say the least. The SEC does play eight league games, but its TV deal pays out just over $40 million to each school. College football isn’t fair. It’s the toughest and most important regular season in all of sports for a reason. It’s impossible to find a standardized way to compare all teams across the nation because there are so many unstable variables, and looking for some kind of true, 100 percent apples to apples approach is a waste of time because it’s pure fantasy to believe such a way exists. The only way to assure that you have a seat at the table at the end is to play better.